It’s hard to explain to someone who wasn’t there why Failure‘s return is a big deal. Even for those who were there at the time—that particular era being the ’90s—Failure’s presence was mostly on the periphery. A loud and heavy guitar-based rock band that outlived grunge, with a dense and euphoric production style that arrived well after shoegaze faded into NME back issue obscurity, the Los Angeles trio had few peers when they released their iconic 1996 album Fantastic Planet. It produced at least one minor hit, “Stuck on You,” which made a dent on the modern rock charts (and its James Bond homage video certainly didn’t hurt), but despite a brief flirtation with mainstream success, they seemed destined for cult status. That they broke up before delivering a proper follow-up—the band fraught with internal disputes and drug addiction—ultimately confirmed that. For a particular audience, however, Fantastic Planet—as well as its predecessors Magnified and, to a lesser extent, Comfort—was a revelation. The 17-track, hour-plus-long album achieved the kind of balance between prog’s highbrow conceptual art and heavy-hitter alt-rock a la Nirvana and Smashing Pumpkins that few bands have bothered to attempt, and fewer still have pulled off convincingly. It’s an ambitious album, certainly, but for some it felt more personal and special—like a communique in a secret language composed of references to Tarkofsky films, French animation, Gary Numan and heavy metal. When the band reunited in 2014 for their first live performance in 17 years, it appeared that small but fervent cabal had grown considerably in their absence; their first reunion show sold out in minutes, and interest in the band had sparked up thanks in large part to bands like Paramore, who had used their more public platform to lend an endorsement to this curious, mythic band that had disappeared sometime in the late ’90s. 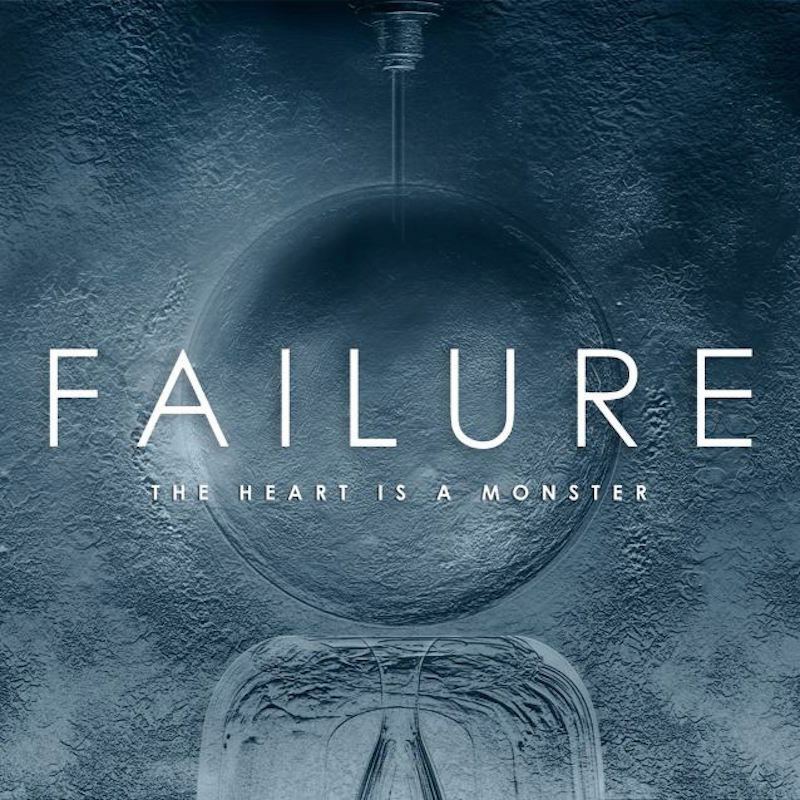 With another year of touring and performing together under their belts after that fateful, wildly successful first show back, Failure has delivered their first new album in 19 years, The Heart is a Monster. And while the significance of the band’s music might be hard to explain outside of personal, anecdotal or chart-placement terms, the sheer number of years it took to arrive is something to behold in and of itself. One track from the album, “Come Crashing,” arrived last year as a teaser to the new material the band was working on, and its heavy, shoegaze-leaning rock indicated that, whatever time had passed and whatever has changed for the band personally over the years (all of which is unquestionably positive, given how things ended the first time), their aesthetic remained intact. The Heart Is a Monster begins with “Segue 4,” which would seem to indicate that this is a continuation of the legacy that came to an abrupt halt in the ’90s. Fantastic Planet featured three such “Segue” tracks, numbered one through three, and so the story continues here. But as time has passed, the band’s music has evolved as well. By and large, The Heart is a Monster sounds like a Failure record. Much of the credit goes to frontman Ken Andrews, who doesn’t sound as if he’s aged a day since Failure’s first go-round, though the band’s dense, melodic and detail-oriented songwriting veers into some new directions here. The raw, riff-oriented chug of “Hot Traveler” carries the burly swagger of Queens of the Stone Age (whose Troy Van Leeuwen was once a touring guitarist in Failure), and there’s an eerie Beach Boys vibe to “Mulholland Dr.”, which is the most unexpected thing here. It’s also the sutblest—call it a “grower”—which says more about the group’s way with a heavily effects-treated rock song, like the cool, haunting “Counterfeit Sky,” and the infectiously trippy “A.M. Amnesia.” When they hit this hard, it’s only natural to crave more. There are more than a few nods to Failure’s past, the most head-turning of them arriving in “Atom City Queen,” as Andrews sings, “I had enough, I shot it down/ One more paralyzed dream.” For how easy it is to descend into talk of what could have been, however, Failure is more than making up for lost time with The Heart is a Monster. After 19 years, the likelihood of a band recapturing their spark seems rare, but this isn’t just a record that sounds like what a Failure album should be. It’s the triumphant fulfillment of 20 years of creative potential.